As mentioned, we were in London last weekend and stocked up on exotic food, like rhubarb. 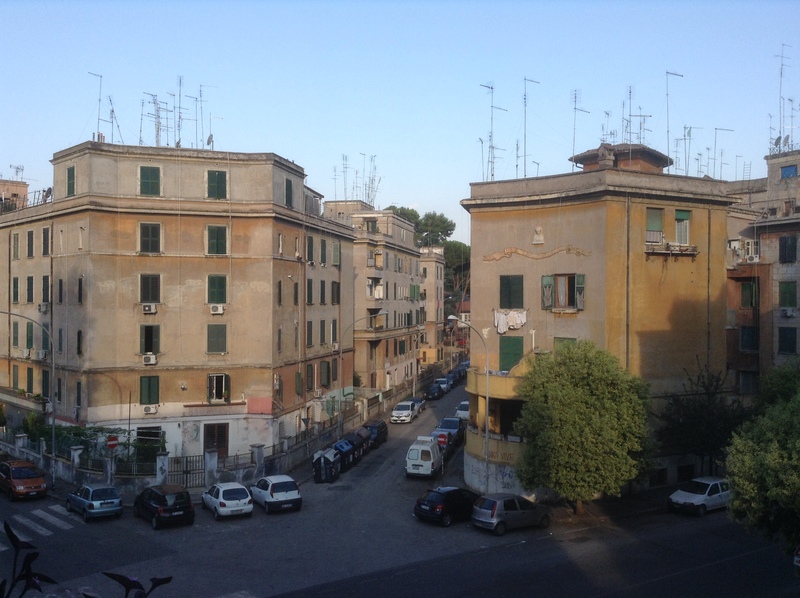 I have only seen it once here, in the Campo di Fiori market, and the rhubarb was imported from Chile and SO expensive. Rhubarb can grow here, it’s just not easy to find and it’s probably too hot here. So we bring it over from the UK or Norway once a year, and then really enjoy it. 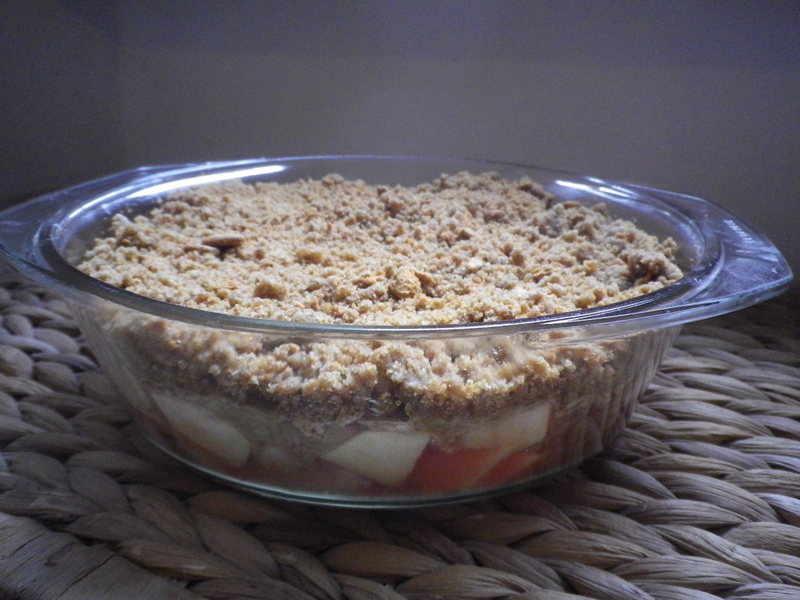 This time we made a crumble with rhubarb, apples and strawberries, with a gingerbread crumble topping. We’d have used ginger nuts (English ginger cookies) but as we had none and had some leftover gingerbread cookies (pepparkakor) from IKEA at Christmas, we used those. Nice flavor. 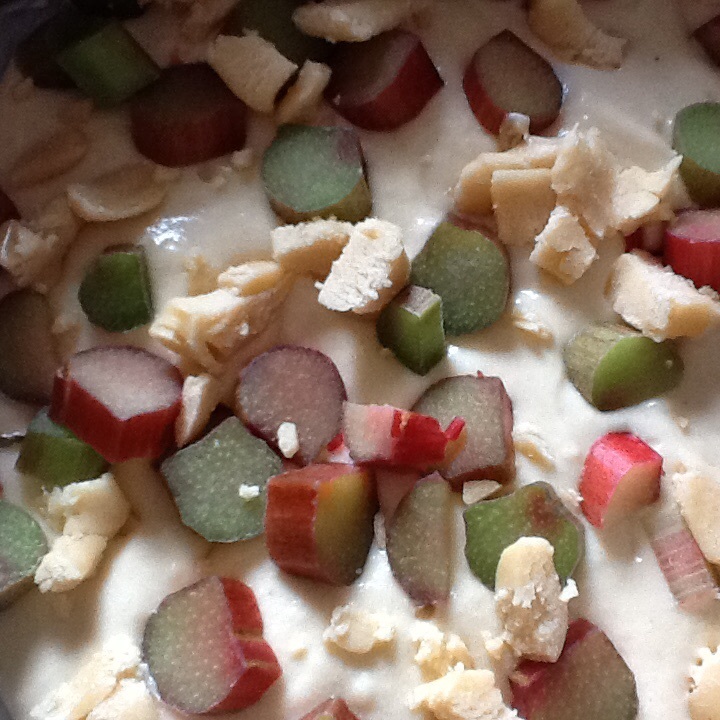 Tip the rhubarb into a saucepan with the sugar and water. Poach gently 5 minutes or so, until soft. Pour the rhubarb with liquid into a medium baking dish, very lightly buttered. I used a Pyrex dish. Add the chopped (but uncooked) apples and strawberries, you will have a nice generous fruit layer. To make the topping: Crush the gingerbread cookies (food processor, or in a well-sealed plastic bag). Mix together cookie crumbs, flour, sugar and butter (use food processor, a spoon or your hands) until it is a nice golden crumbly mix. Spread the crumble topping over the rhubarb, apples and strawberries. Note: You can do the prep up to here and leave it for a few hours, which I did, then come back to bake it dinnertime. Just cover dish and leave it on the counter until you are ready to bake. When ready to bake: Heat oven to 200C/180C fan. Bake for 25-30 mins in the middle of the oven, or until golden brown on top. Of course, with the gingerbread the topping was already golden, but you will see the fruit bubbling up along the edges and the topping wil darken slightly. Serve crumble hot with whipped cream, vanilla icecream or vanilla custard. 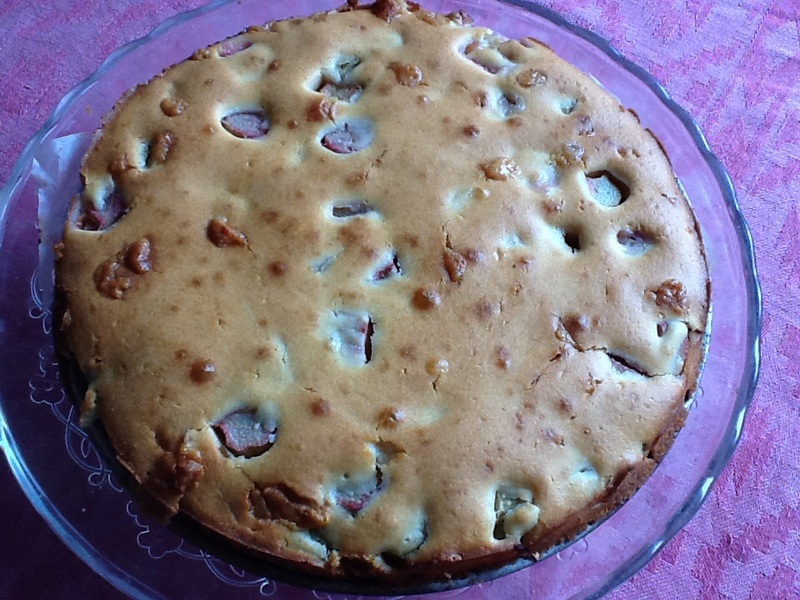 This entry was posted in baking, food, fruit and tagged British, crumble, dessert, rhubarb on May 18, 2013 by krumkaker.